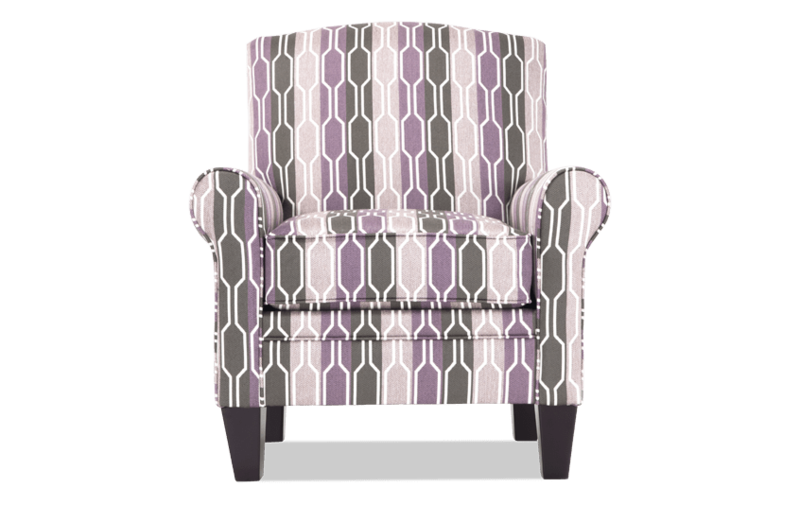 Add character to your space with my Tory Lilac Accent Chair! 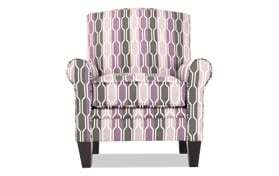 The fun pattern is the perfect balance to the classic roll arm. 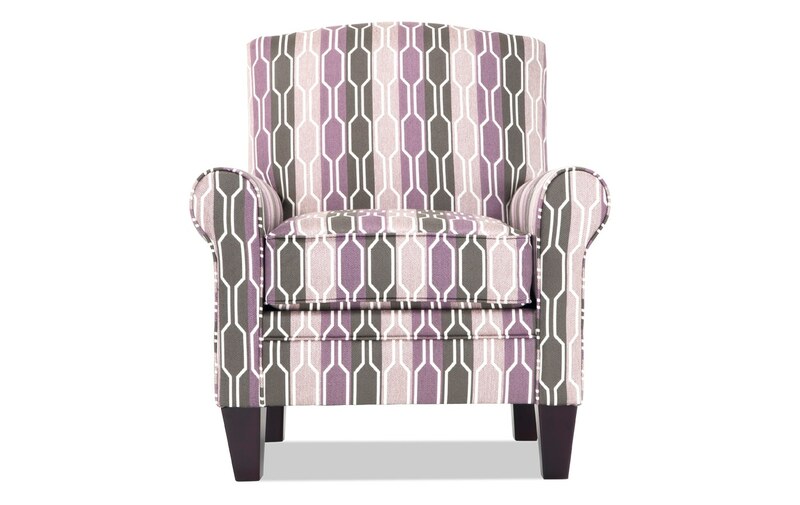 Whether you need extra seating in the living room or home office, this affordable accent chair is the perfect addition!